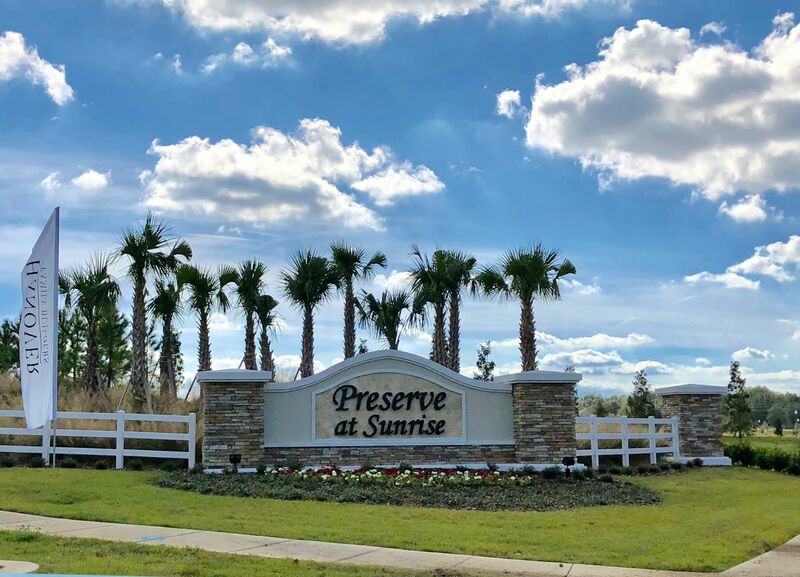 Preserve at Sunrise is a nature-lovers dream! Situated overlooking the Palatlakah River Wetland Conservation Area, Preserve at Sunrise in Groveland, FL is stunning! Perfect for those who love a natural setting, but still need convenient access to Orlando and its surrounding areas. Wildlife lovers will enjoy the seasonal migratory birds that frequently the area, and for those who love to get out on the water, Lake County’s Arnold Brothers Park & Boat Ramp is only 2.5 miles away. Hanover Family Builders has numerous, well-designed floor plans available, all created to exceed the needs of today’s “on-the-go” families.